Integrate your travel suppliers in one booking system! 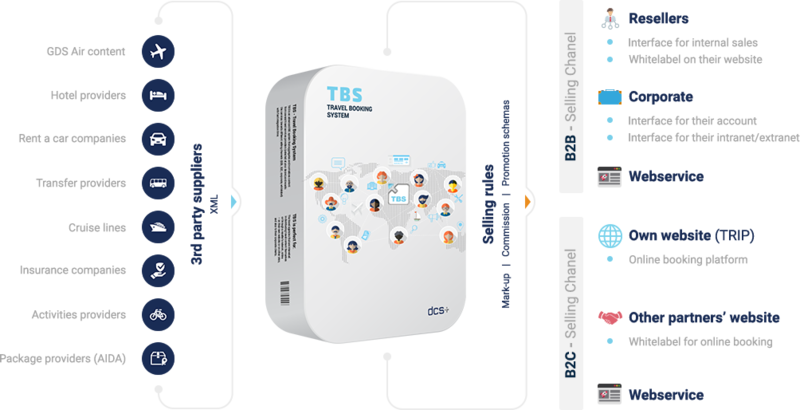 TBS is an advanced IBE system that aggregates and normalizes content from several travel services providers (selected at your desire) and resells the services towards different selling channels (B2B, B2C, corporate, whitelabel) with fast integration time. This internet booking engine supports a variety of business models, whether B2B, B2C and even B2B2C. It is optimized to work with many wholesalers and XML connectors at the same time, by using parallel processes and multitasking (multithreading).